Canada's Prime Minister Justin Trudeau tried to prank fans waiting to see Prince Harry into believing his official photographer, Adam Scotti, was actually the Royal. Scroll down to see the hilarious video. Britain's Prince Harry is in Canada for the third edition of the Invictus Games that kicked off over the weekend and fans of the Royal family are keeping their eyes peeled for the red-haired prince as he makes his way around Toronto. Canada's Prime Minister Justin Trudeau tried to prank fans waiting to see Prince Harry into believing his official photographer, Adam Scotti, was actually the Royal. And, as it turns out, it's not the the first time Mr Trudeau has seen more than a passing resemblance between the two ginger-haired, bearded men. In a hilarious video posted on Twitter, Mr Trudeau's entourage is seen exiting a hotel in Toronto. As fans scream out for Prince Harry, Mr Trudeau's photographer, Adam Scotti turns and waves much to their delight. As the screams grow louder, Mr Trudeau walks out the doors and realises what is happening. Capitalising on the amusing misunderstanding, Mr Trudeau gestures towards Mr Scotti as fans continue to call out "Prince Harry." "That was not Prince Harry," exclaims someone finally, despite Mr Trudeau's efforts to prove otherwise. A short clip of the incident was tweeted by Twitter user @la03la roughly 12 hours before writing this. Made my day, thank you! 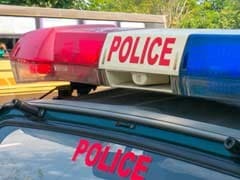 did they hire you as a double yet? 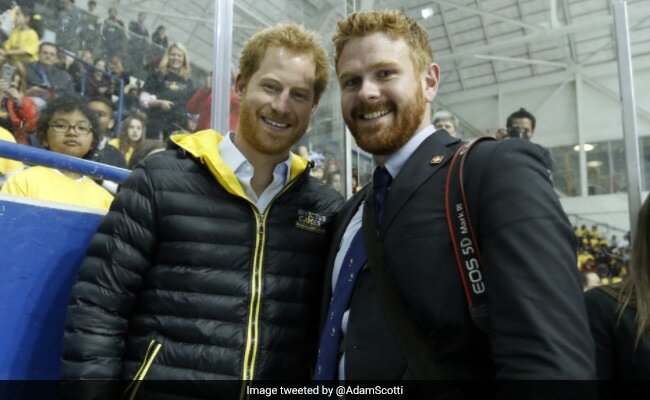 Last year, Mr Scotti had tweeted a photo with Prince Harry writing, "I don't ever ask for a photo, but the PM took my camera and insisted on taking a photo of two #gingers"
The Invictus Games are an international Paralympic-style multi-sport event in which wounded, injured or sick armed services personnel and their associated veterans take part. The first Invictus Games were held in September 2014 in London. They were launched by Prince Harry, who served with the British Army in Afghanistan. This year's Games are being held in Canada. Over the weekend, a five-year-old took Prince Harry for a spin in her miniature car during the opening of the Games.